An invitation to become a part of our schools future development – “Educating our Tomorrow”. John Wesley School has an enrolment of just under 600 learners this year (2017), broken down into the following race groups: 96% Black, 2% Coloured and 2% Indian. The school was originally conceived to redress inequalities in the education system as far back as the 1970’s. It continues to strive to lay a solid foundation for all children who become a part of the John Wesley success story, by ensuring that each child’s potential to become mature, creative citizens and leaders of our future is fully realised. 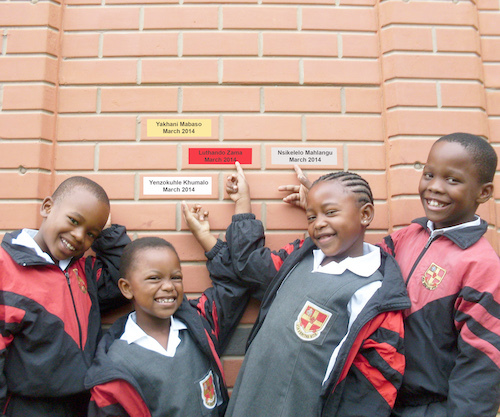 John Wesley School plays a vital role in the community and accepts children from the age of two years in its Grade 000 class through to Grade 7. The school’s ethos is one of love, kindness and caring where children can develop the necessary skills required to become productive members of society. Darron Tarr stepped up into the position of Principal when the previous incumbent retired at the end of 2014. He had been the Deputy Principal for three years prior to his appointment and has many years' experience in both government and private schools. Darron is a dynamic leader with a passion and a vision that inspires both the staff of JWS and everyone he comes into contact with. He is fiercely protective of the good reputation the school has established within the community, and believes wholeheartedly that quality affordable education is critical to the future success of our country. He also believes that by establishing a groundwork of strong Christian values, in practice, the school will continue to produce confident, responsible and well-adjusted children, who will make a difference in the future of our country. Obtaining funding for building projects is daunting and we have met with many closed doors over the last few years. Unfortunately we are incorrectly perceived to be a wealthy school because of our independent status making it very difficult to raise donations. Our expansion needs are such that we do not have the capital required to cover the cost of building the classrooms we need going into the near future. We are taking it one step at a time and have launched our R100 000 Campaign in the hope that we can convince 100 businesses or individuals to come alongside us to build the two classrooms we will need by the end of 2018. Each business or interested individual is asked to donate a minimum of R1000 (one thousand rand) towards this campaign. Our aim is to raise R750 000 – seven hundred and fifty thousand rrand ($58 000 or £46 500). Details of information for the Wall Plaque can be sent to Lilian at . John Wesley School is a registered Public Benefit Organisation (18/11/13/690) and a registered Non-Profit Organisation (159-799-NPO). We a registered to issue Section 18A certificates/receipts, so all donations are Tax deductible. Please contact Lilian via email at or on 076 656 4443 to confirm your participation as a donor and/or to find out when our next Presentation Evening is scheduled for. All donations will be acknowledged on a metal plaque, on a wall within our campus. This is situated on a main walkway within the school.